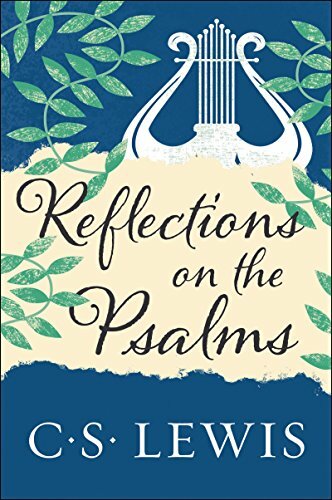 We are wrapping up our study of the Book of Psalms this week, as part of a “Summer Reflection Challenge.” As I mentioned at the beginning of the summer, I promised to re-read C.S. Lewis’ Reflections on the Psalms (as an audiobook), and I found a few more gems in Lewis’ wonderful little book that I missed the first time. This “Summer Reflection Challenge” was indeed a “challenge,” as our church leadership urged us to read 15 psalms a week, thus covering all 150 psalms in 10 weeks. The idea was to read a psalm in the morning, by yourself, then read a psalm at noon, with someone else, and then read a psalm at the end of the day, with your family. Because of attention to my job, I never quite got the rhythm of the noon-time reading, and I missed a number of readings, requiring me to lean on the weekend for catch-up. 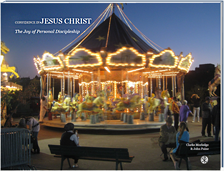 But it really was a good spiritual discipline, to try to incorporate into my life. Lewis observes that what makes the Psalms work so well as poetry, is that they employ the literary technique of Hebrew parallelism, taking a particular thought, and then either repeating that same thought, in a slightly different way, or bringing out the first thought’s antithesis, in order to make a point. Too often, some students of Scripture will overwork such parallelism, looking for particular meanings, in each parallel phrase, when the author’s primary concern is simply to repeat something for emphasis, in a slightly different manner. See Psalm 2:4 and 37:6, for some good examples. The Bible Project has a great video series on biblical interpretation that covers Hebrew parallelism (in poetry), for more information. Lewis also observes that this Hebrew parallelism works well for translators. I would not say that this is a wonderful stroke of “luck,” but it is “a wise provision of God’s, that poetry which was to be turned into all languages should have as its chief formal characteristic one that does not disappear (as mere metre does) in translation” (p. 12). That is a good argument for why we should make every effort to translate the Bible into all known languages and dialects. There is a big difference between “being in the right” on a particular matter and “being righteous.” The Psalmist cry for justice, “being in the right,” works a bit differently than the New Testament emphasis on the importance of justification, so that we might be made righteous. Both are important, and yet both can be easily confused, to our detriment. We often read a Christian understanding into the Psalms that was not there when the authors wrote them. The New Testament writers make good use of the Psalms, particularly with respect to understanding prophecy about Christ. But we miss out a lot on what the Old Testament is saying when we ignore the Old Testament context. Lewis gives Psalm 17:13-14 (on pages 29-30) as a good example, but I defer to Professor Claude Mariottini’s excellent analysis of that text, for all of the details. The Psalms make a big deal about being careful about the company we keep. Yes, as Christians, we are to reach out to our neighbor, and bear witness for the Gospel. However, often it is the case that hanging out with wicked people can cause even the Christian to lower their standards over time, for fear of coming across to one’s neighbor as being a “prig,” as Lewis puts it. For example, Psalm 50:18 has a stern warning against those who compromise their faith principles, “When you see a thief, you join with him; you throw in your lot with adulterers.” It is always a lot easier to go along with the flow. The Psalmist, in contrast, encourages us to pray that we might have firm boundaries, when dealing with those who might lead the believer astray. Lewis’ advice is sound, “Silence is a good refuge. People will not notice it nearly so easily as we tend to suppose… Disagreement can, I think, sometimes be expressed without the appearance of priggery, if it is done argumentatively not dictatorially; support will often come from some most unlikely member of the party, or from more than one, till we discover that those who were silently dissentient were actually a majority. A discussion of real interest may follow. Of course the right side may be defeated in it. That matters very much less that I use to think. The very man who has argued you down will sometimes be found, years later, to have been influenced by what you said” (p. 62). So, with that, I conclude this meditation with something that Old Testament scholar Walter Brueggemann notes in his The Message of the Psalms, about Psalm 150, the closing psalm of this marvelous book of Scripture: “The expectation of the Old Testament is not finally obedience, but adoration… such a life arrives at unencumbered praise” (p. 167). I do not chime in Professor Brueggemann on every element of his theology, but what he says here is well put, summing up much of what Lewis finds so welcoming about the Psalms. Naysayers who might grumble about some things Lewis says here and there would do well to consider Lewis’ thoughtful meditation. If you ever spend much time reading the Psalms, and need a good companion, I highly recommend C.S. Lewis’ Reflections on the Psalms. This entry was posted on Friday, August 31st, 2018 at 7:00 pm	and tagged with C.S. Lewis, psalms and posted in Topics. You can follow any responses to this entry through the RSS 2.0 feed. Sure, it is moral allegorizing, but it is a fitting exhortation. I am all for the “historical grammatical” hermeneutic of Scripture, but there are times where it makes more sense to draw a broader application. Thanks for the idea Clarke. I’ll give it a whirl.